Welcome to STATUE M A R V E L S! All times are GMT -3. The time now is 01:27:44 AM. 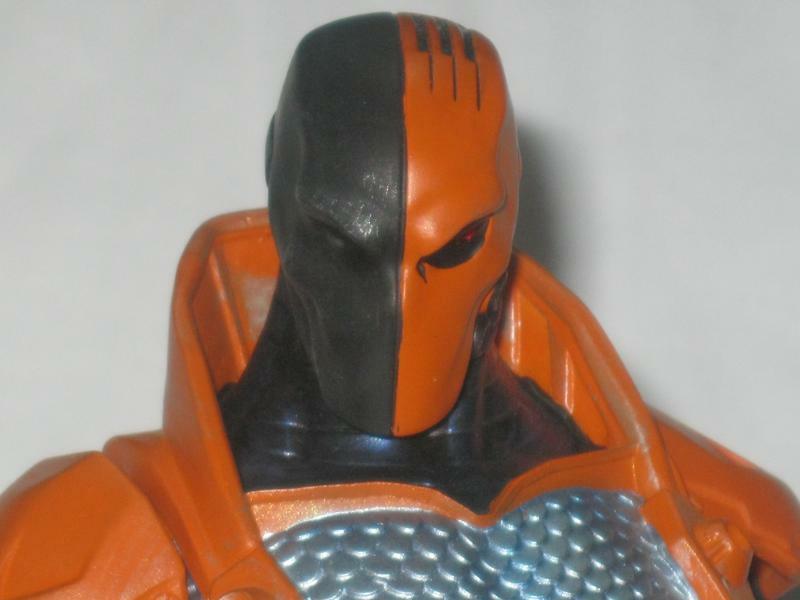 Pics of the new DC Collectibles New 52 Deathstroke bust. Very cool...very happy with this piece. 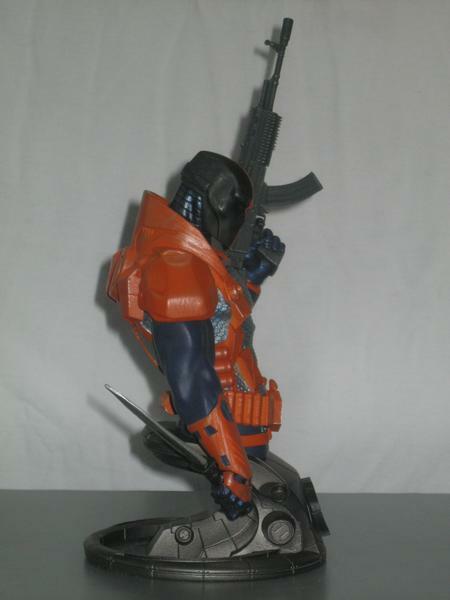 Great detail, excellent pose, very clean paint job...not to mention it's Deathstroke; what more could you ask for? Displays well with Bowen busts. 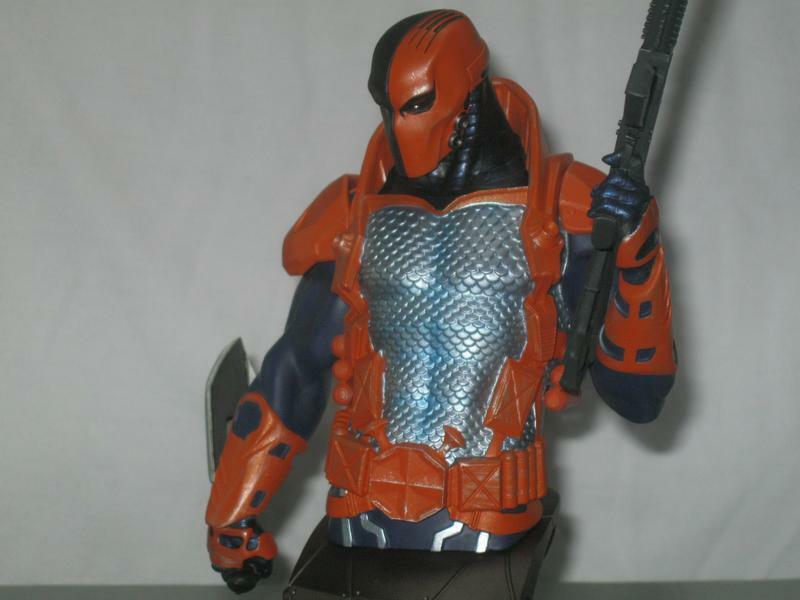 Doesn't show up very well in the pics, but the wear/damage on the armor is a nice touch. If you're on the fence about this one, take the leap. You won't be disappointed. Last edited by Puck It; July 4th, 2017 at 05:40:22 PM.. Thanks for the terrific pics! 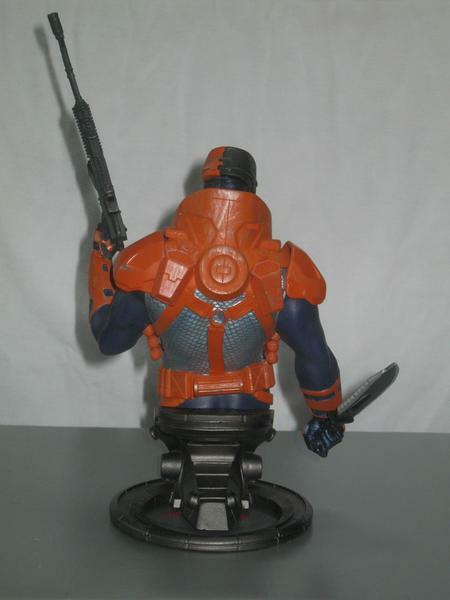 I think this is DC's best mini bust. I'm not a fan of that armor from the comics, but that bust looks great. Thinking of picking one up now. Hey Puck, you should check out the Deadshot bust that they have coming up. Looks pretty sweet IMO. Nice! 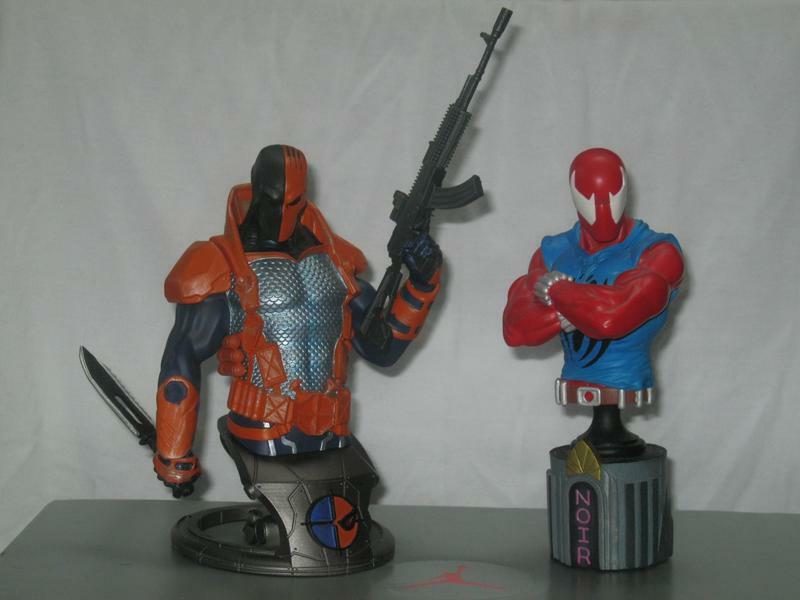 DC is killing it with their mini bust line. Wish they would make their statues on the same level. No prob Tarasadies, had fun taking them. 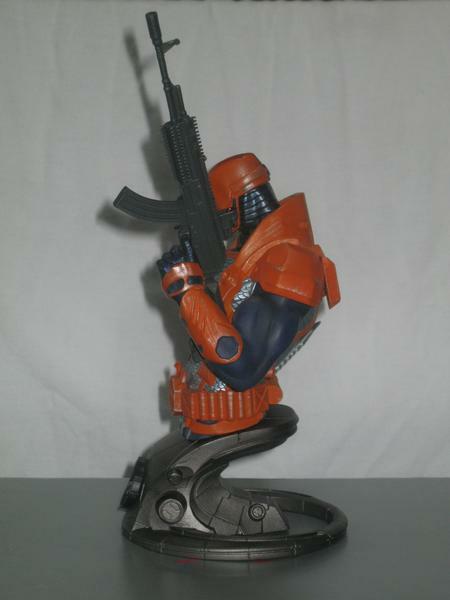 I'm with you, I'd rather it be the OG Deathstroke, but this will more than do. Yeah, I saw that. Looks like another winner to me. Should go nicely with this guy. Yeah man, I'd grab one...great deal at retail IMO. Yeah, they do have some nice ones. This is the only one I have so far, but I've been eyeing the Green Arrow and a couple others. 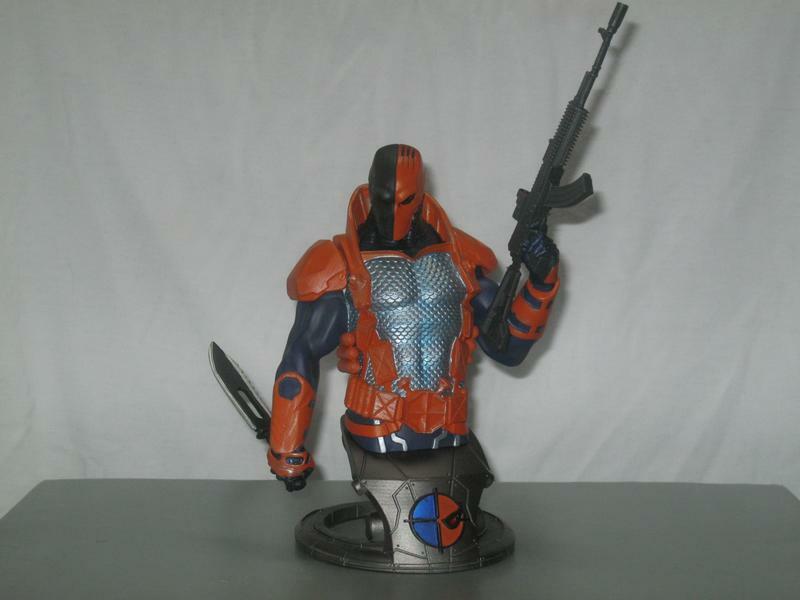 Then they've got Deadshot coming up...might have a little collection of these before long. 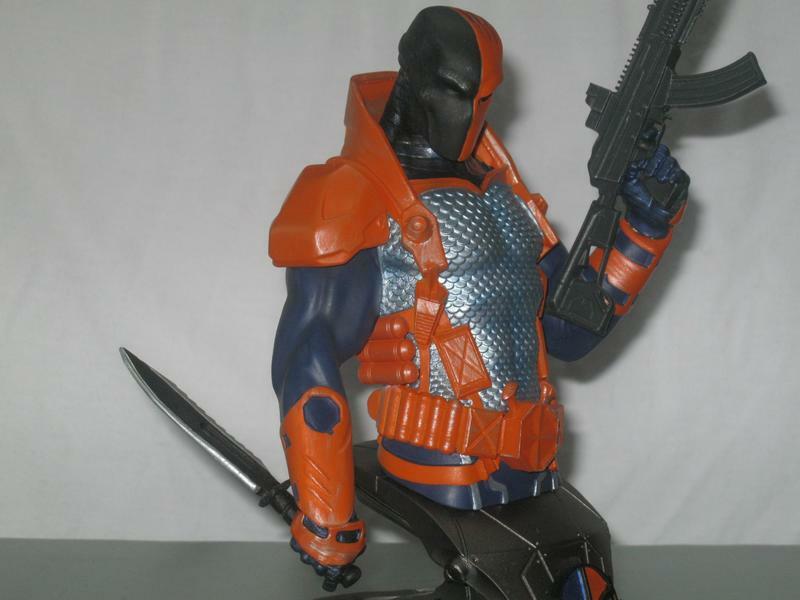 I picked it up last year, anything Deathstroke that's halfway decent and I'll probably get it. This one's commanding a pretty good price now. Thought it would...great piece. Kind of regret selling mine...if for no other reason than to take better pictures. Agreed! Very nice bust (although I too prefer the classic look). Thanks for sharing. 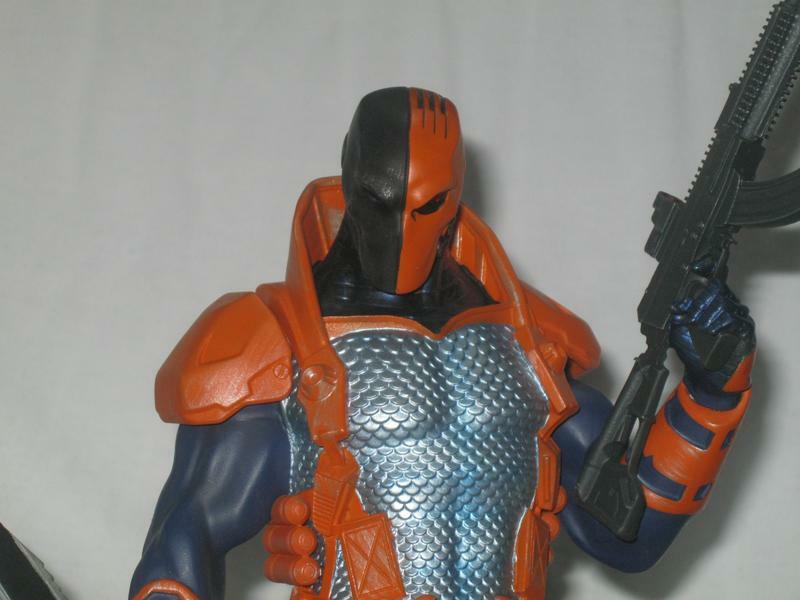 I'm really liking many of these "New 52" busts. My only complaint is that I think the base design could have been a little better thought out. Not really a fan of the "ring" types of bases. It's strange how fast they've been rising in price with so large an edition size. While easily had for $50 on release, some of the earlier releases are already flirting with $200 on the aftermarket. I'm thinking collectors looking to complete a Justice League collection with the original releases of the "trinity" are having a more than expected difficult time of it. I have the Green Lantern and Aquaman. I am certainly NOT the biggest Aquaman fan, but the bust is just so well done for the price I couldn't imagine any reason NOT to add it to my collection. That's one hell of a lot of bust for a measly $50. Yeah, the bases can be a little simple. I'm willing to overlook that with the great sculpts and paint, though. Yeah, some of these are up there now...just quality pieces and people are willing to pay for it. 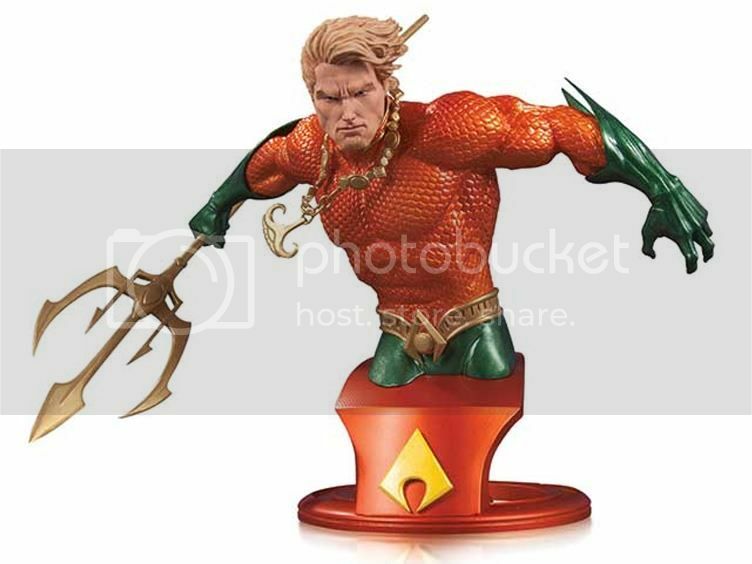 I'm not into the character, but that Aquaman is definitely one of the cooler busts imo. Green Arrow is another one. 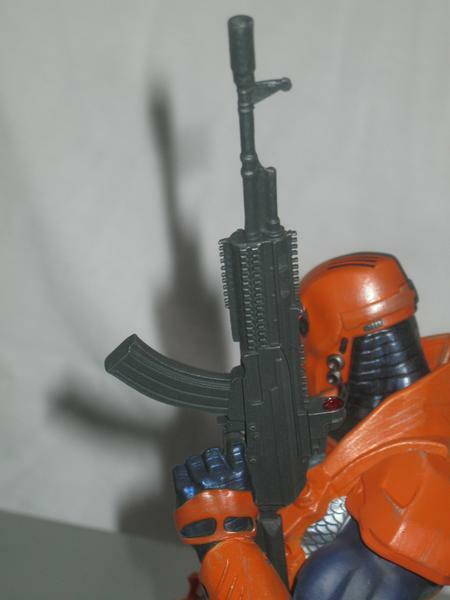 I haven't been collecting these, but I might pick up the Grifter just to have one, if I can find it for a decent price. Great line. Yeah...unfortunately. I'm down to pay up for a bust, but I'd have to REALLY like it or REALLY need it for a display to fork out that much. 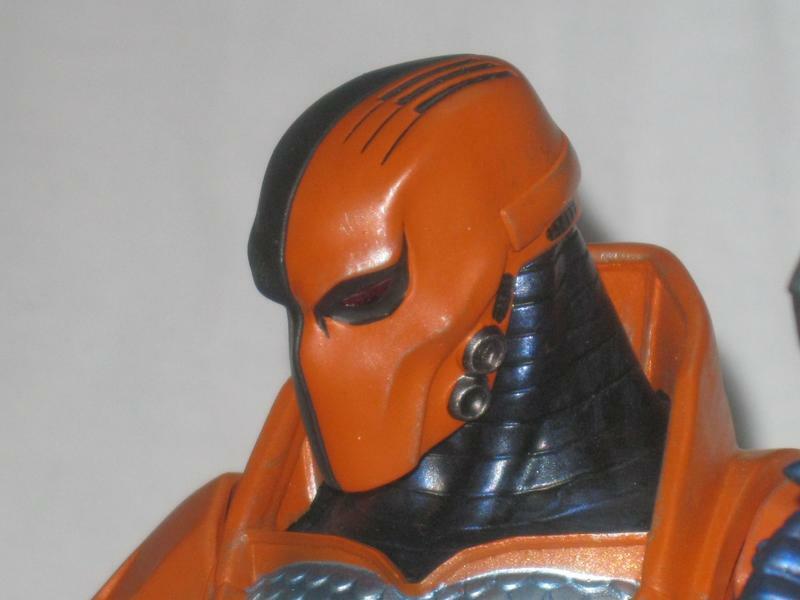 that is a fantastic looking bust of Aquaman. I do have the DC Icons statue of him and that is also a great looking piece. I have owned a number of DC busts over the years (the only one that I own now is Phantom Lady) and it seems that with the bases of the DC busts that they either nail it down completely or they totally miss the mark.